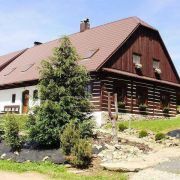 Pekna chata with 4 bedrooms, lounge with ping-pong and infra Sauna, in summer swimming pool with solar heating … More » . 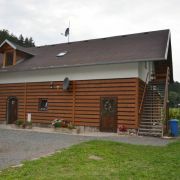 On the ground floor there is a bathroom with massage shower and bath, kitchen with living room where ist a fireplace. On second floor is toilet and shower. Timbered cottage in the heart of the Eangle Mountains. Stylishly equipped, ideal for families with children and … More » groups. 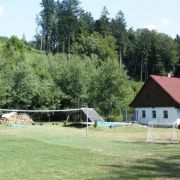 The cottage with its equipment is suitable not only for accommodation, but also for weddings and celebrations. Large lounge with bar, sauna, swimming pool, pergola.